When we are starting a new project, we usually look for the best tools and practices which help us to get the best performance and results. When it comes to web development, we normally chose to use a framework that better meet our needs, depending on the project’s scope. In these cases, it is important to consider aspects like cross-platform support (for development) and native functions to common tasks like database access, cryptography, session control, etc. For PHP developers, there are a lot of options that can be used for many types of applications, from the most simple to that complex ones, like portals and e-commerces. In this article we are going to see how to start using one of the most popular frameworks today: CodeIgniter. CodeIgniter is an open source PHP framework that implements the MVC (Model-View-Controller) pattern and can be used to develop many kinds of web applications. Its simple and clear structure allows us to create a new project with almost zero configuration, saving development time and focusing on the most important parts of our application. The framework also counts on a thorough and clear documentation, as well as a great community suport on its official forum. 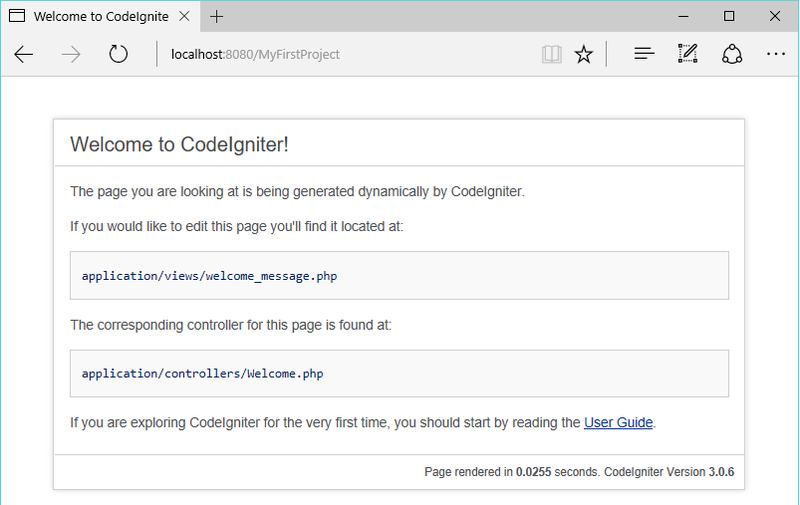 To create a new project with CodeIgniter, we just need to download the latest stable version in its official site and extract the ZIP file in our server. For instance, if we are using XAMPP, we can extract the compressed file to C:\xampp\htdocs. 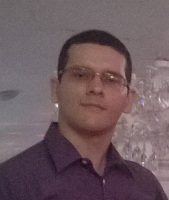 index.php: this is the central file of our application. Here we can find some important settings like the system and application folder’s path, as well as the application environment (development, production or test). Into the application/controller folder we can find a default controller (Welcome.php) and a basic view (welcome_message.php) in the views directory. The Welcome controller, by default, will call the “welcome message” when we access it in browser. If we are using Apache (installed by XAMPP or WAMPP, for instance), we just need to access its base URL, followed by the name of our project’s folder. For example, if we extracted the CodeIgniter downloaded file and renamed the folder to “MyFirstProject”, we can access the address http://localhost:8080/MyFirstProject and we will see a default page, as shown in Figure 1. Now you can open the application folder in your favorite editor, add a new controller and start playing with CodeIgniter.